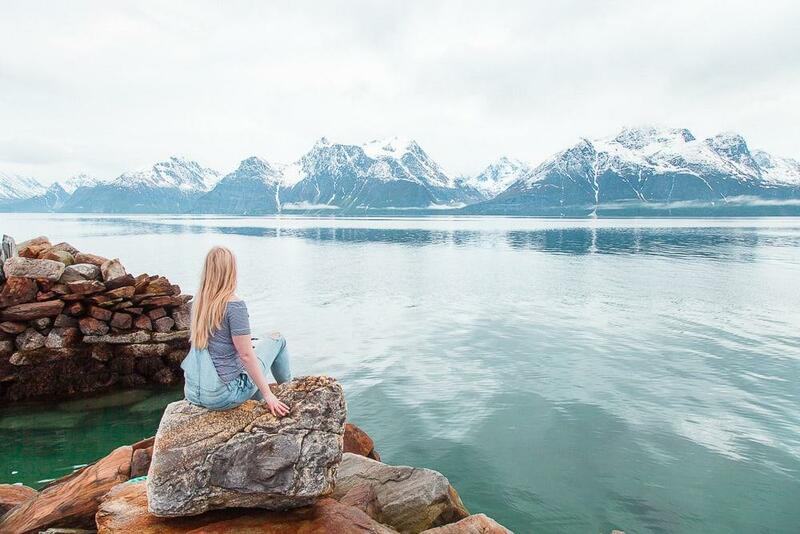 Yet again I’m writing a post I hadn’t planned on, but my inbox has recently flooded with questions about moving to Norway that I simply haven’t had the time to answer, so I figured it would be easiest to just do so in one big blog post. I’m not any sort of expert on how to move to Norway, but I also get that sometimes it’s probably nicer to hear from people actually living in Norway than simply Googling information about life in Norway – especially when those searches lead you to a really scary forum (unless Google led you here – oh hey!). I’ve been living in Norway for over four years now, so I’ve gone through a lot of different stages of the whole moving to Norway process. I remember what it was like to first move here, how exciting and overwhelming it was, how the excitement eventually died down and living in such an expensive country felt scary, and how now I love it so much! Moving to Norway from the US – how are you able to live legally in Norway as an American citizen? Ugh, I’m so sorry I can’t be of more help, but I’m actually also a Norwegian citizen, so moving to Norway was really easy for me. Since my mother is a Norwegian citizen and I was born in the U.S., I was given dual citizenship at birth. There are very few circumstances where Norwegians are allowed to have dual citizenship – usually if you become a Norwegian citizen or a citizen of another country in addition to Norway you will have to give up one – but being born a dual citizen is one of the loopholes. If I weren’t a Norwegian (or EU) citizen, then the process of moving to Norway would be considerably more complicated. That said, I do know several people who decided to migrate to Norway from the US and everything has worked out really well for them. One first came as a student and then got a job here, while two others came as tourists and quickly found work in their fields. So it is possible! Oh and I also know an American woman who got a visa by marrying a Norwegian, so there’s also that. What everyone who made the move to Norway has in common is their persistence. There’s a lot of paperwork, hassle, questions, and even confusion to get through in the move, but if you really want it you shouldn’t give up. Moving to a new country isn’t ever easy, and while in some ways Norway is an easier place to move to because the language isn’t too difficult to learn (at least for English speakers) and there are a lot of jobs here, but on the other hand Norway has a really small population so it’s strange to be on the outside here. Norwegians tend to all be really similar, so it’s hard being on the outside looking in. It can be really hard at first to make friends and feel a part of the community, but once you do you will truly feel a part of something, which is so great. In fact I’ve never felt as much of any community in any country I’ve lived in as I have in Norway. It’s a great feeling. 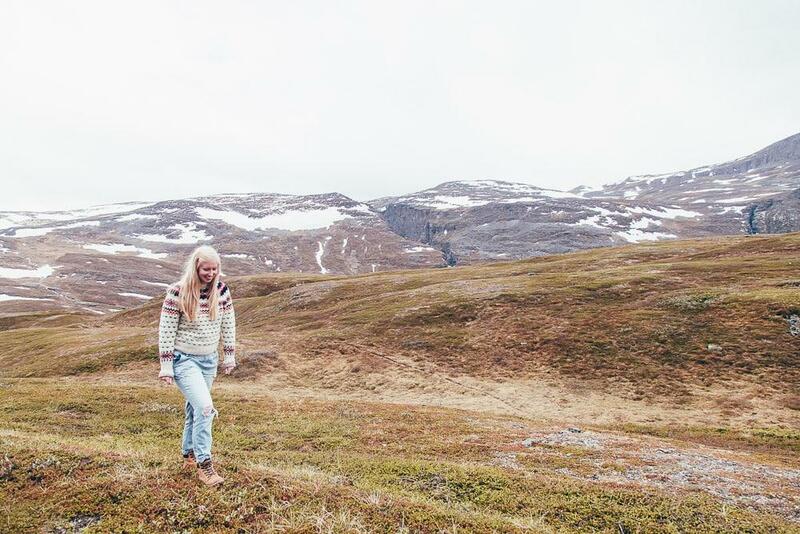 The exact circumstances for how to move to Norway from a non EU/EEA country will depend on your country of citizenship (find more information here), but essentially you will need to apply for a residence permit that will fall under one of these categories: family immigration, work immigration, study, au pair, and permanent residence. Family immigration essentially allows someone working in Norway to bring their spouse or children here with them. So if you have a distant family member living in Norway, you probably won’t be able to get a residence permit through them. And if you are an adult, even if you have a parent living here you will only be granted a residence permit if you can show that you make a certain base salary. Usually if you come here under work immigration, you’ll need to have found work before coming to Norway (though often people will come to Norway on tourist visas and then quickly find a job before their visa expires). The exact type of residence permit you’ll be applying for will depend on your country of citizenship, as well as your specific skills and the type of work you’ll do in Norway. You can find more information specific to your citizenship and field here. 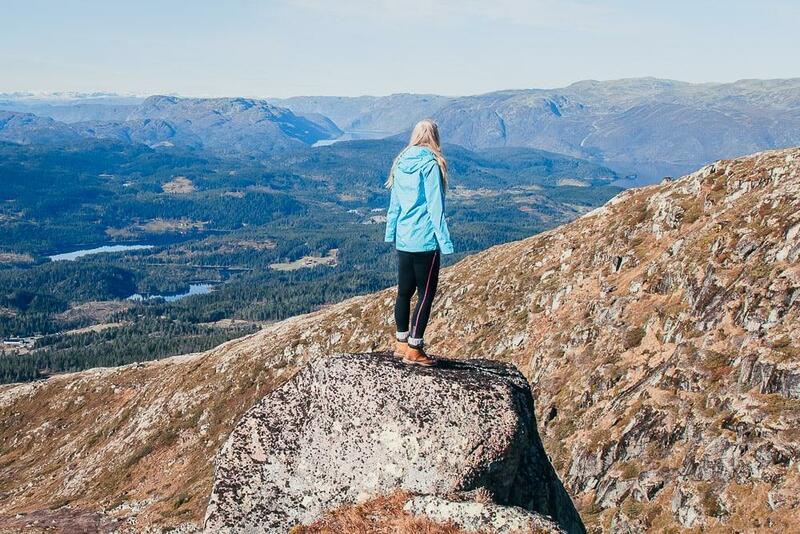 To obtain a study permit to Norway you’ll need to have been accepted to a full-time study program (longer than 3 months) and be able to show that you have enough money to live off of (I think it’s around 100,000 NOK/year). With a study permit you’ll also be allowed to work for up to 20/hours a week during your studies (and full time in between semesters). 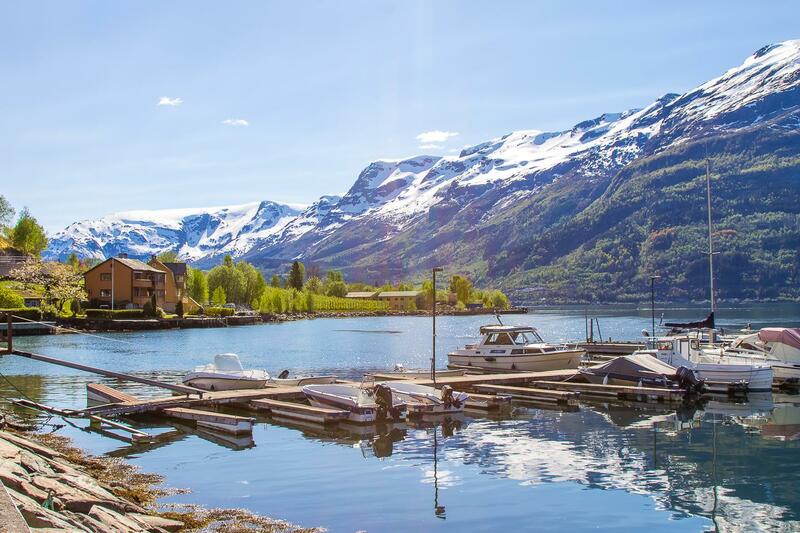 There are different ways to obtain permanent residence in Norway, but essentially you’ll have to have had a residence permit here for at least three years, and show a certain level of Norwegian language and social understanding. And no, three years of having a study permit won’t count towards permanent residency, unfortunately. A lot of people I knew in Trondheim had special au pair residence permits. You can only get an au pair permit while between the ages of 18 and 30, you can’t have children of your own, and you have to show that you will most likely be returning to your home country after finishing as an au pair. And then of course there are special rules for asylum seekers in Norway. Since Norway isn’t part of the EU, do I need a special visa to move to Norway as an EU citizen? Nope, all you have to do is find a job within six months of living in Norway (and apparently even that rule is super lax). And as Norway is part of the EEA, as an EU citizen you can get any sort of job, regardless of your field. Dan is here as an EU citizen and while some things like getting a bank account were basically impossible for him to do before he got a job in Norway, mostly moving here was quite an easy process for him. If you have any more specific questions about moving to Norway as an EU citizen I’d be happy to try and answer them! I have so many friends who are EU citizens and basically the hardest part for them was learning the language. Once you know basic Norwegian you should at least be able to get a job at a supermarket, as Norwegians generally don’t want those sorts of jobs. When I worked at a supermarket in Norway all the other workers were foreigners, except for the managers. It was kind of funny and made for a nice sense of community. If you want a higher level position, you really will need to become fluent in Norwegian. The good news is that Norwegian is meant to be one of the easiest languages for English speakers to learn. The grammar is very basic and straightforward, and the vocabulary is surprisingly simple. The only tough thing is that Norway has tons of different local dialects, and they can vary widely. Like my friends in Telemark say that sometimes people from Oslo don’t understand everything they say – even though they’re all Norwegians! How can I find a job in Norway? 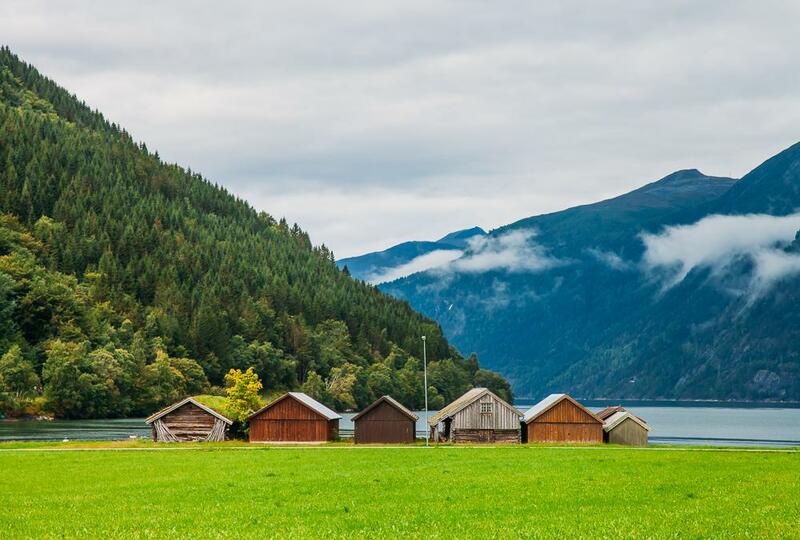 When I moved to Norway people told me two things about finding work in Norway: it’s all about networking and it’s easier to find jobs in small towns or villages. And sure enough, Dan and I both have jobs that we got through someone who read my blog, and we’re living in a tiny town in the middle of nowhere (read how we ended up working at a supermarket in the mountains here). It really seems like getting to know people and asking around (or even hanging out at places you’d potentially like to work, like restaurants or bars) is the best way to get a job in Norway. And of course that also means knowing at least basic Norwegian – luckily basic Norwegian skills aren’t too hard to achieve. After five months of living in Norway Dan had good enough Norwegian to work at a supermarket, and Norwegian is the first foreign language he’s learned. BUT he also had a job in Trondheim before that which he found through a job announcement on Finn.no. He was hired by StudentConsulting to work for Dekkmann changing tires on cars, and most of the people whom he worked with there were immigrants who didn’t speak Norwegian. So networking, language skills, and small towns aren’t everything. If you are willing to do any sort of work and apply for everything available, finding a job in Norway shouldn’t actually be all that difficult for you. In fact, I would say if you can speak some Norwegian and are totally flexible on where you’d want to live and what sort of work you want to do, it really shouldn’t be hard for you to find a job in Norway at all. It seriously seems like supermarkets all over Norway are always hiring! Of course this will be totally up to your personal preference, but like I said, it will be a lot easier to find work in a small town or village than in say, Oslo. Plus the cost of living in smaller towns is way lower than in the cities. From what I’ve heard, Oslo is the hardest place to find work as an immigrant, though it also has the most immigrants living there, whereas in a small town you might be one of just a few foreigners. Personally I think of that as a good thing though, because at least for me it’s been much easier to integrate into a small town than it was in Trondheim, where I was tempted to just hang out with other foreigners and only speak English. If you want to get a better idea of the different areas of Norway, click on the below map to read more about each region (I’ve only colored in the regions I’ve personally visited and know really well). Is Norway really such a great place to live? Should I move to Norway? So many people ask me this and it’s a tough one to answer! For me, the answer is yes, I love living in Norway. And I think the same goes for Dan – if we were to break up he would definitely still want to live in Norway. 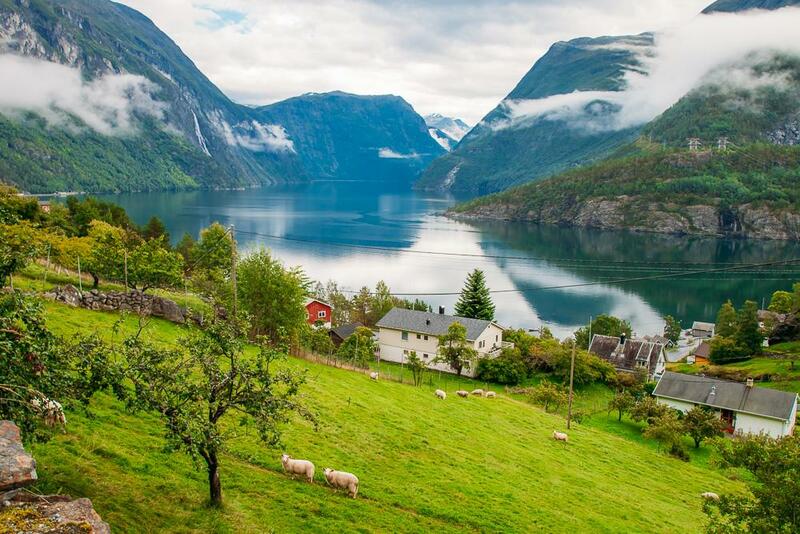 There’s so much to love about life in Norway. It’s beautiful, the government is like, not horrible, if you’re happy to start out with low skilled work then the wages are crazy high, and Norwegian people are generally really lovely to each other (at least they are in Rauland!). I mean, I never thought I would love working at a supermarket, but having super laid back managers, colleagues who feel like family, and the sweetest customers really makes me appreciate living in the mountains of Norway. Plus Norway just feels like a really safe place to live. Education is free in Norway, so I could easily go back to school and get a master’s degree without racking up any debt, and I’ve had a really good experience with the healthcare here. Like, coming from the US, I think my quality of life in Norway is way higher than it was in the US. But I can also imagine that Norway wouldn’t be for everyone. 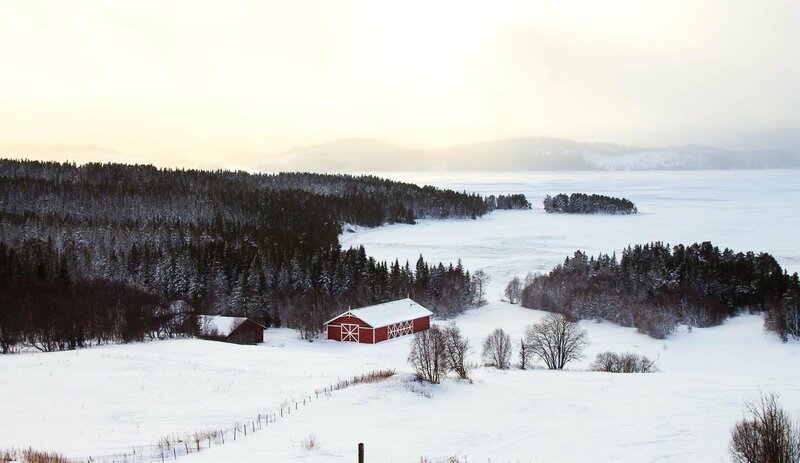 Norwegian people are a peculiar bunch, and I think the culture in Norway could feel cold or frustrating to some people, the weather won’t be too appealing if you don’t like snow, and getting stuff done here takes a whole lot of patience and persistence. Like, it can be really difficult to get a straight answer on questions about important stuff like taxes, visas, etc. It can also take a long time to feel part of the community here, as Norwegians tend to be really shy and reserved. They won’t often offer to help you with things or approach you to talk, but just know that if you need help with someone, Norwegians will do almost anything for you as soon as you ask. In fact it seems like Norwegians love being able to offer help, they’re just too shy to offer until you ask. So just ask! If you live in a small town here it can feel like everyone has known each other forever, and they probably have. So it can be tough joining in as an outsider because everyone already has their set group of friends. But if you try to join activities or clubs you should be able to start to get to know people. I personally think it’s worth it, but a lot of people might not. 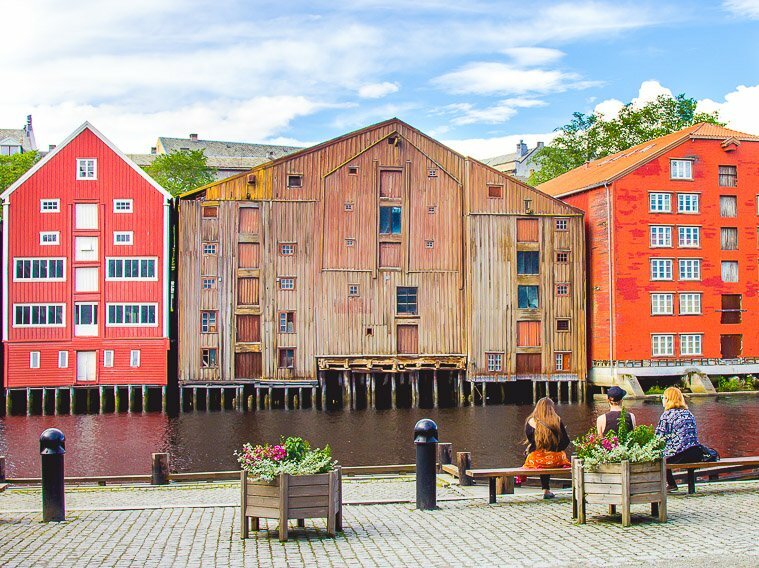 In fact I’ve had a lot of comments on this blog from long term expats who seem to truly loathe Norway (I guess they’re still here because of their families? ), so I think it’s safe to say that Norway is definitely not for everyone. But if you love nature and the quiet, don’t mind the cold, have an appreciation for boiled potatoes and tinned fish, and know how to be patient, then by all means, come join me! I feel incredibly lucky to have the opportunity to live here, and living in Norway has given me a wonderful sense of safety. Not only is it a very safe country in general, but once you’re a resident in here it feels like you’re really taken care of. Health care and education is free, and even unskilled work pays well, so as long as you’re willing to put in the hard work to learn the language you should be able to have a good life here. Thanks for sharing! Even by reading the comments gave me ideas what should I do first when we move to Trondheim in July 19. We are grateful to be granted family visa in Mar 19 and through this post, it’s no brained that language is the key to settle in quickly. I shall enrol myself for language course ASAP. My 2 kids who will be attending international school should fine in picking Norwegian as part of the lesson. I have made some friends from my home country living in Norway in my previous visit to provide more support and networking. I plan to join more communities activities help to lay a good platform for more possibilities. Really can’t wait to see the beautiful nature again. Hi, I’m a US citizen currently in college. 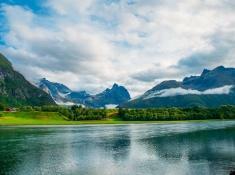 My dream has always been to move to Norway, and I do plan on it after I finish college. My question is, in order to apply for the residence permit, I need to get a job, can a small job such as a grocery clerk per say, count as a job in order to fill out my form? I think the job has to be in your field of study, as they only give work visas to Americans as skilled labor. Thank you very much!! I love your blog by the way and you really helped me believe that my dream can come true!! I have quite a few personal questions regarding this type of move, and I am a U.S. citizen. I would love to speak with you. If I left an email address, could you respond to it so we could message? I would greatly appreciate it. I spent my summer (2018) in Norway this year (rented a flat in Oslo). I also joined a course to learn Norwegian got to A1 so not bad. I’ve always loved Norway and have friends and family there. Now having a massive internal debate with myself about moving there. For me I’m assuming the hardest part will be getting a job especially as I still live in the UK. Norway as you say is just the most amazing, friendly, and kind country and my summer there was the first time I’ve felt truly at ease for a very longtime. So what to do – argh. Guess it all depends if I’m good enough to get a job. Thank you for the information and it is great to see you are loving it. Hoping Brexit doesn’t mess the whole thing up. It’s actually my daily prayers to get contacted with Norwegian that will make a way for me to get overthere. hi my name is lenny, im moving permanently with my son in norway this coming march 2019, just wondering how hard for non EU citizen to get a job in oslo norway ?i was thinking to move in somewhere in oslo as its big city with a lot of opportunity i think however after reading your blog i do have prospective city which Trondheim? is it much easy to get a job there to start with. um single mom and we dont know anyone there, i been working with airlines industry for more than 8yrs now as customer service relation. I would say it’s much easier to get a job in Oslo as it’s bigger and there are a lot of foreigners there. Good luck! Hello. As far as the crazy Norwegian TV shows goes, well I am hooked. There is a station I just discovered that broadcasts the train trip in central Norway. I am hooked! My goodness, the county is beautiful. I have added that train ride to my bucket list. I am absolutely smitten with the train video. Would love to live in one of those small towns where the train stops. I could never give up my United States citizenship to do it, but I love Norway!! Hello,My name is Mark,I will like to migrate to Noway,I’m electrical technician,can you kindly find a suitable job for me,so that it will enable apply for migration visa,……..
I’m female. i’m 37 years old. For more than 10 years I’ve been working at a book printing center, but I’m going to spend my mobile and computer repairs in order to create a better job. 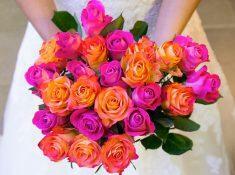 Do you think that it is possible for me to immigrate to Norway and find a job. In your opinion, what training and skills are appropriate for the labor market in Norway? Thank you very much for giving me time and I would appreciate if you can answer me. I apologize for your weak grammar.